Earlier this week, the mayor of a small northern Norwegian town, which has long imbibed pollution billowing across the Russian border from Norilsk Nikel’s smelting plants on the Kola Peninsula, announced a novel idea: reporting the facilities to the Norwegian police and suing them under specific articles of Norwegian pollution law. 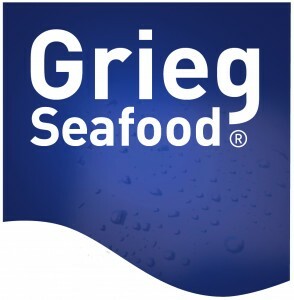 It was an idea never before tried in Europe. Thanks to fickle local politics, it will, for the time being, remain so. 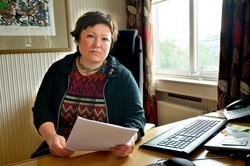 On Thursday, Mayor Cecilie Hansen’s 25-member municipal council in the town of Sør-Varanger torpedoed her idea of seeking legal redress, saying instead it wished to sort out the pollution issue caused by the Kola Mining and Metallurgy Combine (KMMC), a daughter company of Norilsk Nikel, by creating a working group to decide whether to press forward with a legal case, Hansen said. It’s the sort of thing Mayor Hansen, who possesses a shrewd rural wit and a no-nonsense small-town sensibility, is all too used to hearing. The reluctance to engage Russia in a more aggressive manner taints the policies of the Norwegian national government as well, and Hansen accused it of ignoring the northern pollution problems for matters of political expediency and economic interests in Russia. She complained further that the Norwegian national media are hardly spotlighting the cause. Occasionally a paper scribbles out a story on the pollution from the KMMC, but that coverage is rare. “The national media write about stupid things and fail to understand how dangerous this situation is,” she said. After a dip in pollution from the KMMC, the presence of heavy metals began to increase in 2004 for reasons yet unknown as the plant refuses to share production data with Norway. This year, Hansen said, the pollution is even worse – something she said is especially apparent from the vantage point of her farm in the Pasvik valley near Sør-Varanger, and a stone’s throw from the Russian border. According to studies by the Norwegian Institute for Air Research, the Sør-Varanger and Pasvik valley are the areas in Norway hardest hit by the KMMC’s pollution. “Something seems terribly wrong on the Russian side with the factory,” she said. She explained that the Sør-Varanger area annually experiences what locals call “Russian Summer,” a westerly wind that blows into Norway across the Kola Peninsula. This year, the Russian Summer has brought with it more industrial smog than it has in recent memory, she said, which prompted her to unilaterally announce her intention to seek legal redress. But, with the legal path cold for the moment, Hansen insists that the Norwegian government, which she says has kept a distance from the Russian pollution issue, must make an unequivocal statement that the KMMC’s pollution levels are illegal under Norwegian law. “We also want the Russian company to know that we will not turn a blind eye to the continued pollution,” she said. A 25-year-old a bone of contention between Russia and Norway, the KMMC has for years been belching sulfur dioxide and trace heavy metals across the border into northern Norway at the rate of some 100,000 tons a year. Norwegian activism against the cross border contamination dates back to the last days of the Soviet Union, and the terrifying revelations about the industrial wasteland across Norway’s border made possible by the Glasnost and Perestroika policies of the last Soviet Premier, Mikhail Gorbachev. This gave birth to the “Stop the Death Clouds from the Soviets” movement, and slowly international meetings began to convene. As a result, the Norwegian government in 1991 allocated 300 million kroner ($50 million) toward pollution control efforts, with the goal of reducing emissions from the metal smelting plant by 90 percent. Twenty years later, there is still no emissions purification system in place. 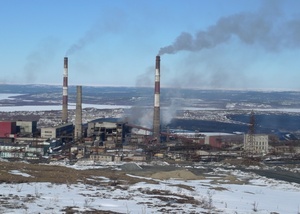 The pollution emanates from three industrially devastated towns on the Russian side of the border: Zapolaryny, where the KMMC mines its nickel ore, Nikel where it is smelted and Monchegorsk, where the nickel is refined. 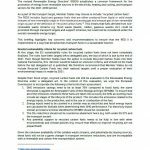 The industrial processes release tremendous amounts of sulfur dioxide, which is characterized on the website of the Canadian Center for Occupational Health and Safety as being “very toxic,” to “fatal,” causing severe irritation of the nose and throat. At high concentrations, sulfur dioxide can cause life-threatening accumulation of fluid in the lungs. Sulfur dioxide is colorless but very pungent. Hansen’s initial idea earlier this week to break political deadlocks over how to address the pollution issue was to make shrewd used of various articles of Norway’s pollution laws, and file an actual report on Norilsk Nikel to the Norwegian police. The theory underpinning this approach, she said, recounting advice from lawyers, was to present the effects of the pollution as occurring on the Norwegian side of the border, and legally equate that with a malfeasance committed on Norwegian territory. That, she said in her interview, would give the Norwegian police enough to pursue prosecution even though the offender is Russian and the emissions themselves emanate from Russia. But during a session Wednesday night, her municipal council put the breaks on her plan, opting to pursue yet more political routes instead, she said. The split in the vote was curious. Representatives of the left parties such as the labor party, the independent party and the socialist left parties – traditional supporters of swift environmental action – came out against Hansen, she said. The left groups, as indicated by local press reports, were afraid of “insulting” their Russian counterparts. Hansen’s initiative to call the police received its warmest reception from the conservative right and far right groups on the council, all of whom said they are tired of the decades of dialogue about the pollution and want action. In the end, the vote was split mainly by bipartisan-style animosities having little to do with the environmental question at hand. Would Hansen’s prosecution have worked? Hansen said that her lawyers had earlier this week explained to her that the process she tried to initiate was possible, though would have taken some slick maneuvering between Russian and Norwegian law. 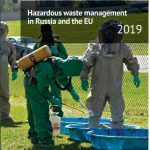 Larisa Bronder, an advisor in Bellona’s Russia department and an expert on the KMMC’s pollution on the Kola Peninsula, said that while she was supportive of Hansen’s initiative, there is a fundamental lack of legal instruments between the two countries to facilitate such a prosecution. Primarily, she said, Russia has not ratified the Espoo Convention or the Gothenberg Protocol, both of which guarantee that one nation undertaking industrial initiatives that may environmentally harm its neighbors must enter into dialogue. If it had succeeded, said Bronder, Hansen’s prosecution would have set a new international precedent. Svend Søyland, Bellona’s senior advisor on international energy and climate issues, said that currently existing precedent was established between the United States and Canada in the 1929 during the Trail Smelter dispute. In this case, he said, smelting operations in Trail, British Columbia caused heavy damage to crops in the US state of Washington. This led to the establishment of an arbitration tribunal between the two countries. The case lasted seven years and saw the farmers compensated, marking the beginning of the so-called polluter pays principle in environmental law. But Søyland said that without such a transnational framework, the prosecution suggested by Hansen would be difficult. Bronder attributes that critical lack of information to a culture of secrecy perpetuated by the KMMC, and plain tolerance from Russians of living in an industrial nightmare. 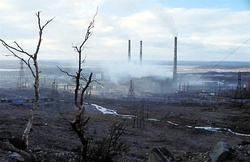 Traditionally, she said, residents of Nikel, Zapolyarny and Monchegorsk don’t dare to sound the alarm about the environmental devastation in the area. “They fear losing their jobs in the Norilsk Nikel group,” the area’s largest employer, she said. Nina Popravko, a lawyer with the Environment and Rights Center (ERC) Bellona in St. Petersburg pointed out differences between the Russian and Norwegian criminal codes that would likely have ground Hansen’s prosecution to a swift halt. “According to the Russian Criminal Code, a criminal case can only be opened against individuals – and in this case it would have to be the director of Norilsk Nikel, and only if significant damage to health and the environment can be established,” said Popravko. Hansen said that her only remaining choice – in the face of her scuttled attempts to bring legal prosecution to bear – is to head up the new working group agreed on by her municipal council, which will convene its first meeting on July 3. But Bellona’s Bronder raised the question of how effective yet another working group will be, when even international level efforts to do the same have failed. So far, said Bronder, this group has produced no results. 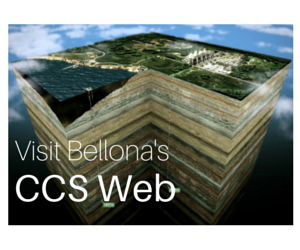 Bellona applied for observer status with the group later in 2011, but was denied because the working group still had not developed a mandate. But Hansen is still not giving up on the notion of eventual prosecution someday.